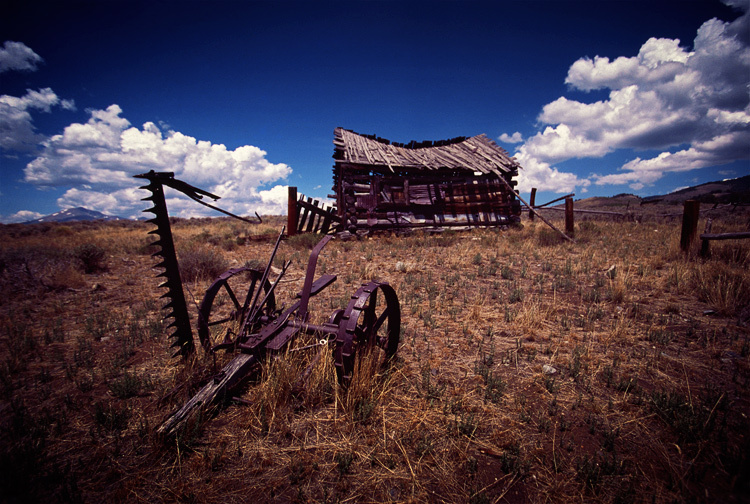 An abandoned farm building and machinery in the San Luis Valley, Colorado. I love how the two things are connecting in this shot, the little waggon leads the eye to the house nicely. I wonder how it still stands. I like your composition in this. It works very well. Well done with the low angle perspective. That's one brilliant dramatic sky. I really like this photo ! Great shot of this fascinating old structure Will. Really like the low wide angle view and the gorgeous blue sky and clouds. The vastness and the deep blue sky are incredible. Wish you all the best for 2012.